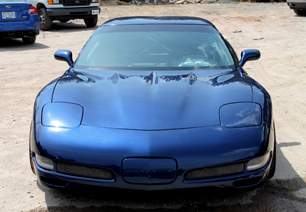 Highlights and pictures of the cars we have owned to test and use the products we sell. 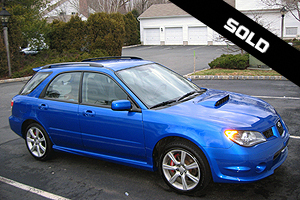 2015 Subaru WRX - the new FA motor ran well and made 300 WHP but we moved on! SOLD! 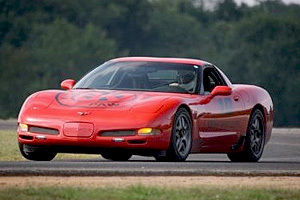 Our torch red Z06 was purchased in March of 2009. Basic 'T1" prep with springs, shocks, sway bars and safety. 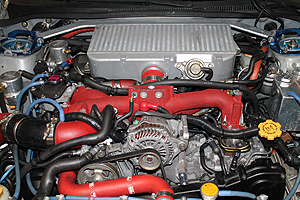 Intake, headers, cam and a tune from Carolina Automasters net 445 WHP. Cooling and oiling systems were modified to increase durability. Our current brake setup utilizes a Wilwood FSL 6 piston caliper and KNS/DBA 2 piece brake rotors. Very economical and effective for track use. This kit is due for release. 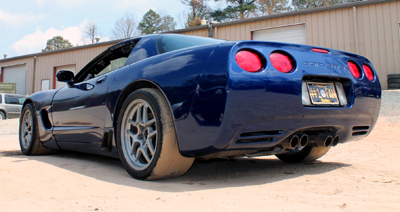 Corvettes are awesome track cars - and better in blue. This is the same car. SilverBalls will always be remembered but she was just not meant to be. We miss ya! 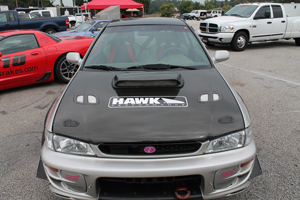 Our first car built to be a fun HPDE car. 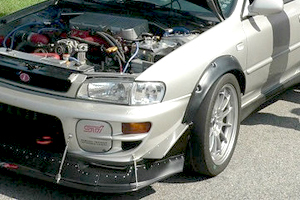 Street legal with 375 WHP, rollbar, big brakes, coilovers and lots more. etc. 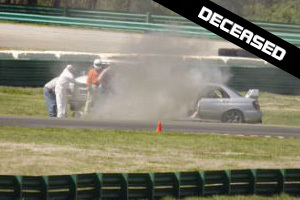 Her life was cut short by an unfortunate incident at VIR. 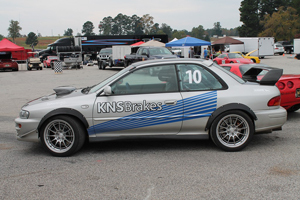 This car was purchased new in 2005 and went to VIR in February of 2006. 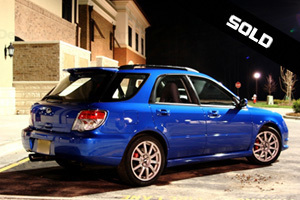 STi turbo, wheels, brakes and some suspension work created a nice 'grocery getter'.